By now, the story is well known. A man sits in the backseat of a cab, sketching on a notepad as night falls over a crumbling city. He scribbles the letter I. He draws a heart. And then an N, and then a Y. Right away he knows he’s got something. This is it, he thinks. This is the campaign. 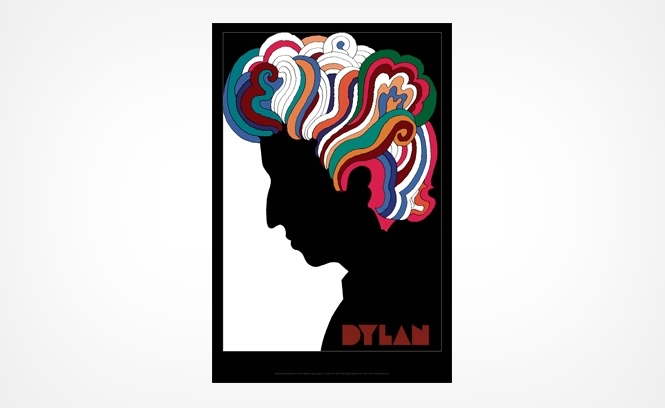 The man was a designer named Milton Glaser. The city was New York. The year was 1977. A time and place commemorated by an entire genre of movies dedicated to making it look like a horrifying place to live. Today, I ♥ NY is everywhere. It’s on t-hirts, hats, towels, plastic bags, oven mitts. 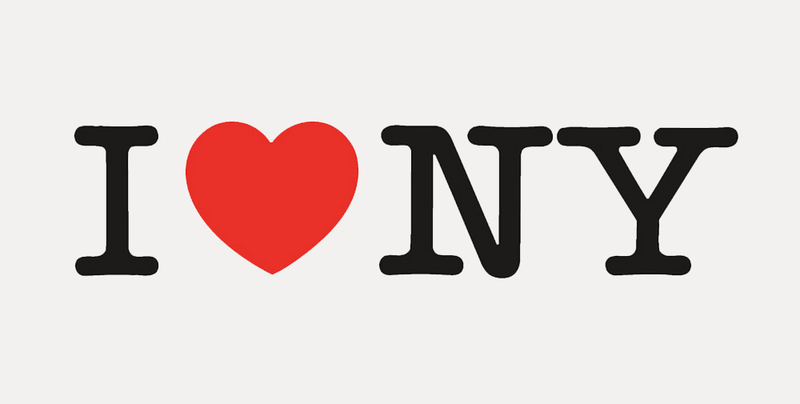 Milton Glaser created the design pro bono for the Empire State Development Corporation, the agency that handles tourism for the state of New York—so the ‘NY’ actually refers to all of New York state, not just the city. Both New York City and state have their own official flag, but the heart logo may as well be it. And like any good flag, the logo can inspire a sense of civic pride. 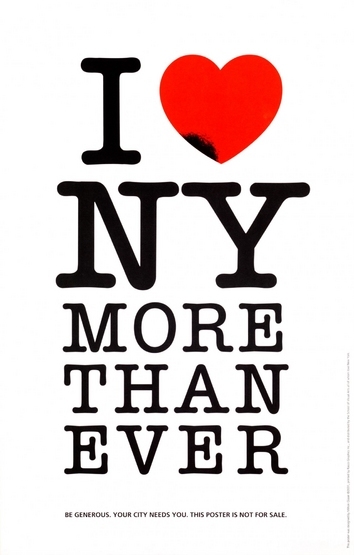 The I Love NY campaign was that it was so successful that it became part of the built environment. So people started doing with I Love NY the same thing that humans have always done when encountering something in nature. Wendy Bryan owner and proprietor of I Heart Guts, a company that sells that anatomically correct plush dolls of internal organs. 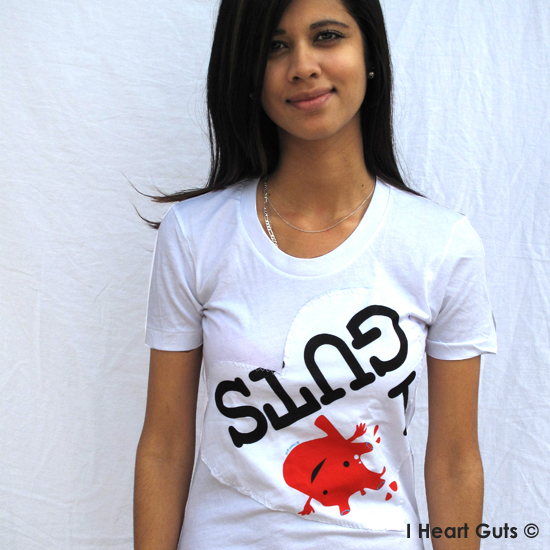 Wendy started I Heart Guts in 2005 as a t-shirt business. One shirt was in the style of I ♥ NY. A few months later (on her birthday), Wendy got a cease and desist letter from CMG Worldwide, the firm that represents the New York State Development of Economic Development. CMG said that her shirt was in violation of the I ♥ NY trademark. Wendy altered the shirts to create an entire cease and desist limited edition series of I Heart Guts merchandise. CMG Worldwide sends out about 200 cease and desist letter per year to people they believe are in violation of the I ♥ NY trademark. Ironically one of those letters got sent to Milton Glaser for an I ♥ NY update he created to raise funds for local NYC charities following 9/11. The state of New York apologized to Glaser, and chalked it up to a bureaucratic misunderstanding. We could debate here whether or not this indicates that something is broken in trademark law. But a more interesting question might be: why does CMG Worldwide need a whole team of people working on I ♥ NY? Why has a government ad campaign from the 1970s lasted this long, and why is it still getting stolen, remixed, and modified into countless permutations? We asked Milton Glaser. He didn’t know either. Now in his 80s, Milton Glaser in still working. 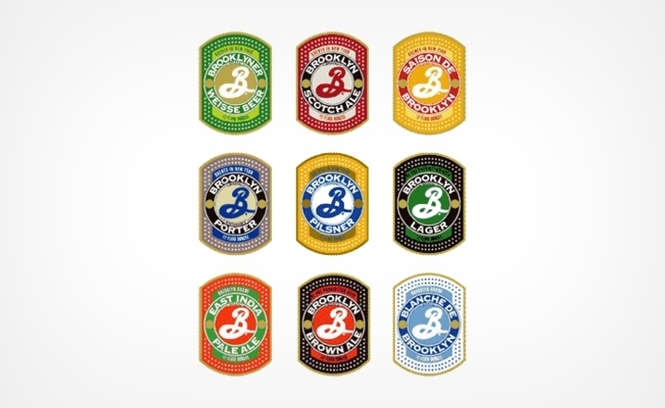 He recently did an entire visual identity for Brooklyn Brewery. For more on the life and work of Milton Glaser, check out Wendy Keys’s wonderful documentary, To Inform and Delight. Maybe I ♥ NY continues to hold our attention because of its infinite capacity for remix. That you can substitute literally any part of the equation—the I, the ♥, the NY—and you still get the cultural reference. In fact, even New York state is doing this. You can now find official spinoff logos like I Pizza NY, and I Beach Ball NY. Even the much shorter-lived promotional radio jingle that accompanied the I ♥ NY from 1977 became the subject of cultural riff. Saturday Nigh Live did a sketch about the biblical town of Sodom’s image problem, and a civic leader’s attempt to get Sodomites singing “I Love Sodom.” NBC was hit with a lawsuit for infringing on the song, but successfully defended themselves in court, arguing that parody is protected speech under the law. 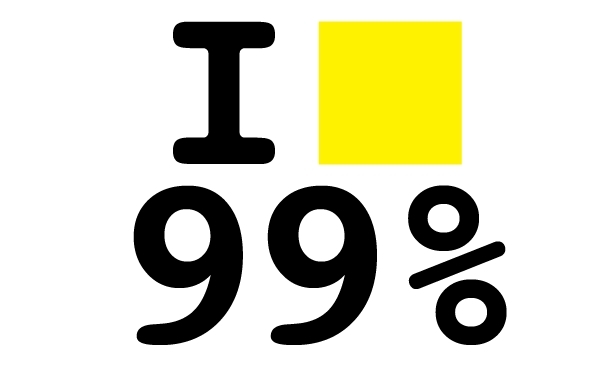 99% Invisible producer Sam Greenspan (@samlistens) guest hosts this episode, with help from reporter from Mooj Zadie (@moojz). Roman is at the beach. Sam and Mooj spoke with Wendy Bryan from I Heart Guts, Clare Neumann from CMG Worldwide, and the inimitable Milton Glaser. Great episode. Does anyone know which Piero della Francesca Milton Glaser was talking about? The principle characteristic of this plan is the half loop ans new mehndi designs amidst the hands and the fragile items exhibited in the configuration. Numerous business schools offer scholars a mixture of grants, gifts or somewhere in the vicinity called showing assistantships, particularly for the individuals who act as collaborator instructors. Subsidizes for awards are gained from a school plan to help most fittingly people. A school grants allows dependent upon a person’s benefits (legitimacy based) or, contingent upon his budgetary position (requirement based), considering data on monetary position a petitioner portrays in an enrollment structure. My wife gave birth to our son wearing a shirt! !